Getting into an auto accident is an extremely traumatic event for anyone, but you can feel especially vulnerable when you are affected by someone else’s bad driving. There are few more helpless feelings that being collateral damage from someone else’s erratic driving, but what happens when you are collateral damage of failed infrastructure? It is important for you to understand if your auto accident is either a complete or partial result of highway neglect. So let’s take a look at what this is, how it can affect auto accidents, and what justice you can seek in cases of highway neglect. Highway neglect is an overarching term for any infrastructural problems that occur on a major road as a result of lack of oversight, failures in upkeep, or unaddressed wear and tear. From cracks in the pavement, to shaky barriers, to unsafe pull-off areas, highway neglect can create unsafe driving conditions, leading to auto accidents, on a frighteningly regular basis. Unsafe highways may result from funding decisions made as a result of political allocation of resources. While long term political pressure may provide lasting solutions, that process can leave highway hazards in place for extended periods of time. 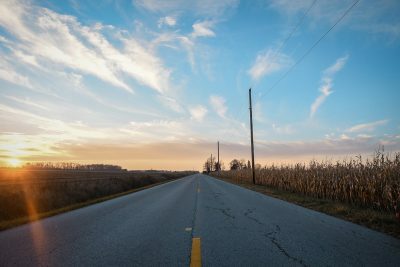 How Does Highway Neglect Affect Auto Accidents? A variety of highway safety factors can cause or exacerbate harm from accidents. Dangerous fixed barriers on roadsides can harm occupants of a vehicles that stray from the lanes of travel. Defects in roadway surfaces can cause a loss of control. Poorly maintained barriers can fail to contain an out of control vehicle. Traffic control signs can fail to properly inform drivers of hazards in the area, such as insufficient sight distance. Highway safety features are in place to not only help you drive safely, but also to prevent other dangerous drivers from putting you in peril. If you or someone you know has been injured in an auto accident, and you suspect that highway neglect is partially to blame, contact EPIC today, and see how our team of expert legal minds can guide you through this difficult and stressful process as peacefully as possible.